about environmental dangers to the planet, especially the harm done through excessive use of plastic. They hope to encourage residents, as well as visitors to the island, to adopt a more eco-friendly lifestyle by going green. “Going Green” is a phrase that essentially means choosing to live an environmentally friendly lifestyle. When you “Go Green” you gain knowledge and adopt new habits that lead to environmentally friendly and ecologically responsible choices in ways of living. This will help to protect the environment and sustain its natural resources. Education: LMCG is actively providing education about going green online, within schools and through film and events such as their annual “Love the Earth Festival”. Action: they host frequent clean-ups on the beach and after major events such as Limassol Carnival and Marathon. 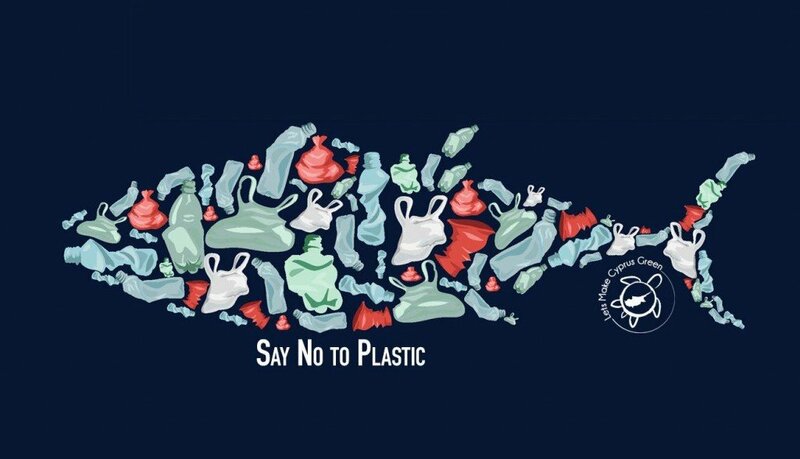 Prevention: reduce your plastic waste and support LMCG by sourcing your environmentally-friendly and affordable products online in their Eco Shop which sells many items from reusable produce bags; to menstrual cups; bamboo toothbrushes; stainless steel straws and edible plates and bowls! Making a country “green” is a long and arduous process. To make a big impact, Let’s Make Cyprus Green needs an army of passionate, like-minded people in order to help it along. By becoming a member for a small annual fee, you will help LMCG’s progress in reaching this goal. Your membership fee supports the great work that LMCG carries out and as a ‘thank you’ for becoming a member, you will receive a t-shirt, a membership certificate and 10% off all products in their Eco Shop! You can also choose to participate more actively in their organisation if you’d like to help out more by translating their material from English in to other languages to further spread their message; helping to organise their clean-up events; writing educational articles for their website and more! You can become a LMCG member online through their website here.